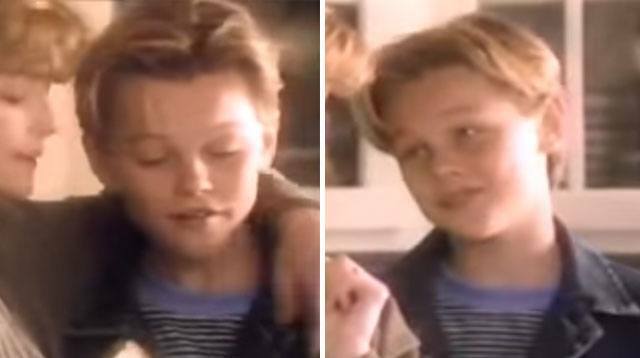 While it's true that Leonardo DiCaprio is getting better and better with age, he was also the CUTEST teenager – as proven by this hilarious cheese advert from the '80s. He's most famous for the likes of Titanic, Catch Me If You Can and The Revenant just to name a few, but it turns out his most pivotal (ahem) role was actually in a Kraft TV advertisement from over three decades ago. In it, he plays a young boy chatting to his mom about some "Free Singles" cheese, which make for a good sandwich, are fat-free and apparently low in cholesterol. Shame "they're for daddy," though. LOOOOL. Although we're not exactly sure how old he is in it or whether Kraft cheese was as gross as it sounds, we are so glad this has been unearthed and put into circulation again. Should we start a petition to get it back on TV or what? Either that, or we'll just look at young Leo GIFs on the internet all afternoon. Your call.